LA4550 Audio Amplifier 4W BTL. 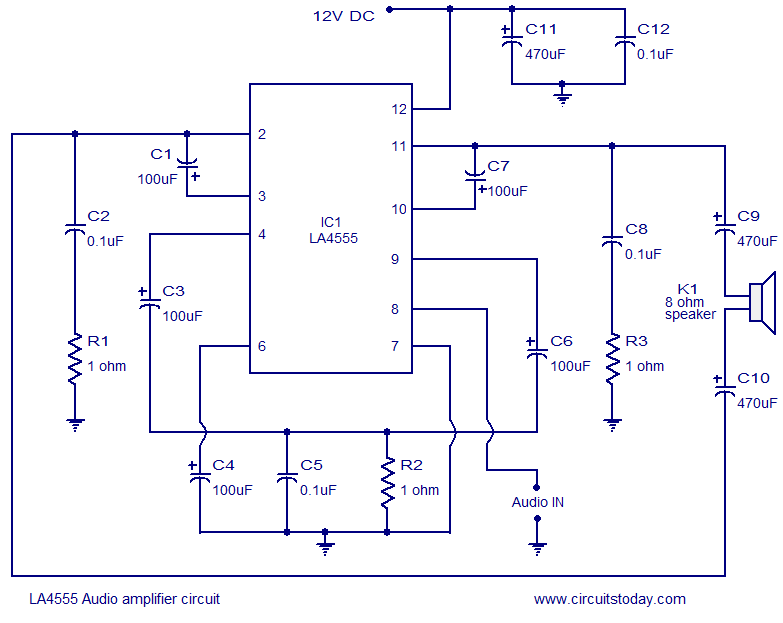 LA4550 is a 2 channel audio frequency power amplifier IC specifically designed for radio, tape-recorder use etc. The features of LA4550 are low quiescent current, built in 2 channels for stereo and bridge mode operation, excellent ripple rejection, good channel separation, negligible pop-up noise during power ON/OFF. The LA4550 can be operated from 12 Vdc and can deliver 4W of output power into an 8 ohm speaker.